Monetization strategy: charge for tech products or services — or both? Many times your path to monetization is straightforward: You’ve built a hardware or software product and you charge for the hardware purchase or license fee for the software. Maybe you charge for customization and support services, maybe you don’t; this is often driven by conditions in your market segment. But of course, even this seemingly straightforward exercise often isn’t simple. There are myriad ways to build a software product monetization strategy: a traditional perpetual license, a subscription model (including but not limited to a hosted SaaS approach), tiered by number of users, tiered by total metered usage, a Freemium (see below) entry level version with charges for premium versions or to unlock additional features, etc. The list of possibilities is nearly endless. Hardware models are generally simpler due to the limitation of additional fixed and variable expenses such as tooling and direct product costs, which tend to put a floor on most pricing approaches. But even hardware monetization models have evolved over time. In larger markets the “razor and blades” approach is sometimes used where the product is sold at cost (in extreme examples even GIVEN AWAY FOR FREE) to capture downstream service revenues (example: Cable Modems & Internet Services) or supplies revenues (example: Inkjet printers & printer cartridges). So while options are not as limitless as in software markets, the number of strategic variations are many. Where does the “value” lie in the long run? Where is the “volume” in the market? What does the competition look like, especially from a long-run cost perspective? Value Example: many people can build cable modems, but for ISPs it’s desirable to monetize the “Internet Pipes” because they are a barrier to entry. Competition example: Some established enterprise software companies have a huge advantage in market presence and infrastructure, but their business models include significant costs. Newer SaaS entrants were able to outflank them using lower cost models of hosted software, inside sales and free trials/customer self-service in large part by having easier-to-use software. Sometimes even a Freemium approach is used to rapidly build a customer base with little to no direct marketing costs. New entrants attempting to make a “splash” in large markets which have substantial embedded market leaders. In situations of great desperation, where the competitive situation is difficult and the “losing” player is trying to “stay in the game” until market conditions change. Both the Value and Volume examples put forth in the previous paragraph are actually classic uses of loss leaders (give away cable modems to sell Internet service, Printer hardware at cost to sell downstream paper and ink) which often work very well. One of the most important things to consider when formulating a monetization strategy is whether or not your particular product or service includes a “network effect”. By network effect I mean a product or service that becomes more valuable the more people there are using it. Many tech offerings don’t have to consider this issue in their monetization approach; some products are just as valuable to initial users and it is to those downstream. But if your product/market combo requires a network effect it’s a critical consideration. There are many examples of this; social media sites such as Facebook and LinkedIn and Google Search are great examples. When there are only ten people in the world belonging to a social media site, there is very little perceived value to prospective users, considering the entire reason for joining is the broad reach of social interaction and networking potential. None of your friends or colleagues belong, so you can’t socialize with them and there are few prospective new connections to network with. So why would you join? But once there are millions of users of a social media site, the “network effect” kicks in and there is great incentive for new prospective members to join, because many people they know (or want to know) already belong. The same phenomena is true with any type of marketplace in the startup phase. Buyers don’t want to frequent a marketplace with no sellers, and sellers have no interest in setting up shop in a marketplace with few buyers. This is often referred as the “chicken and egg problem” which precedes the virtuous cycle of a successful network effect. Many marketplaces, social media sites and other businesses that require critical mass to become successful often fail, because they aren’t able to solve this chicken and egg problem. So what does this have to do with monetization strategy? A great deal. If you have a business that relies on a network effect to become successful, the chicken and egg problem should be front and central in your monetization strategy deliberations. What you chose to charge for–and more importantly, what if anything you decide to give away–should be decided primarily on overcoming the chicken and egg issue. For example in a classic buy/sell marketplace, you generally have to build up one side of the network (buyers or sellers) before the other side is highly incentivized to follow in droves. I have seen both ends of the major extremes of potential monetization strategies work well for software and hardware companies–but one type of network approach is usually preferable to the other in a given set of circumstances. In the first case, membership of the buyers is free. This is generally the most desirable strategy, because there are many more potential buyers than there are sellers, making it more challenging to build up the required critical mass of buyers. Also, buyers of goods tend to be more price-sensitive than sellers of goods–sellers will often join/pay quite happily if it’s going to lead to increased buyers and revenue. So this side of the network monetization strategy usually works best. The second approach is what I’d refer to as the “buyer’s club” strategy: Sellers usually aren’t charged a fixed or upfront fee to offer their goods or services, but buyers must pay a “membership fee” to access what are considered rock-bottom prices for the aforementioned goods and services (think Costco). Not charging a fixed fee to belong allows you to build up the seller side of the network rather easily. You might charge the sellers a small transactional cut on ever sale, which they are very happy to pay–although this is often waived initially while attempting to build critical mass. This second approach is trickier to pull off, in my opinion, because it hinges on the marketplace being able to offer the tremendous price/value on it’s offerings. A classic example of a strategy which utilizes both of these powerful monetization tactics in the enterprise market is the Open Source software model. 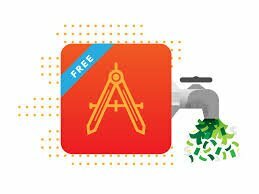 This approach is a close cousin to the Freemium strategy which has been in vogue in recent years. It’s typically used by new entrants to disrupt large markets with existing powerful, embedded incumbent competitors. There are a number of variations of the open source model which are used to level the competitive playing field, all of which include both a loss leader and network effect component. The loss leader portion comes from using a free, broadly available open source version of a product; monetization typically occurs through the sale of support and customization services OR by upselling to a “premium” version of the software, often using a SaaS model. In addition to serving as a loss leader, the free, open source version also enables the upstart entrant to rapidly build market share and iterate the product (utilizing a network effect), often to the extent of creating a new, semi-proprietary market standard which has great value in the market. That’s my take on a couple of powerful tactics to consider when you’re formulating your overall technology monetization strategy. Monetization strategy is a very complex topic which I could write a book on; in this article I’ve tried to do justice to just a couple important concepts. Post a comment with your own key monetization tactics to extend the discussion.